If you want one, just request it here. Have any extra custom stuff you want added? Then just add it to your post! Do me one with a british officer in the foreground and a warrior with troops around it in the background. 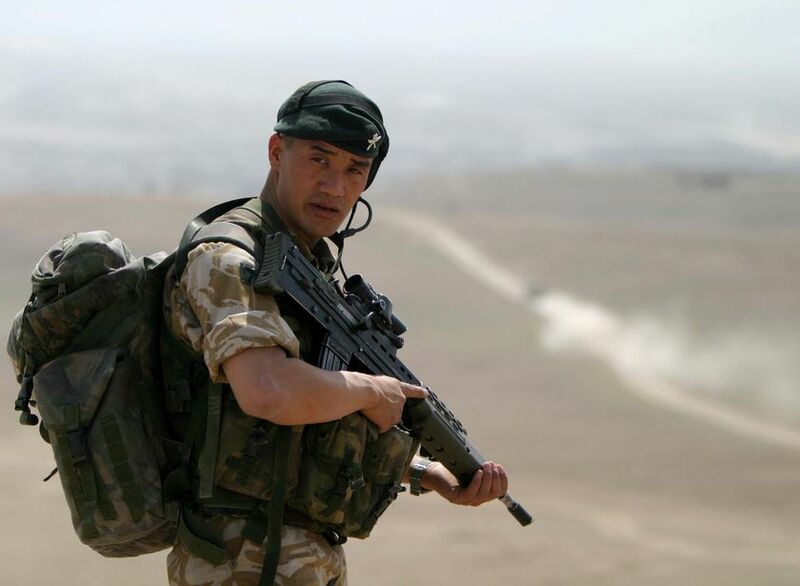 British woodland camolage please (qinling, 7-gates) style. If thats too much then I'll settle for Officer and Warrior. So put in some if possible. I have no particular wishes because I'm a guy for everything. Can u split the sig like in 3 parts(still one sig). 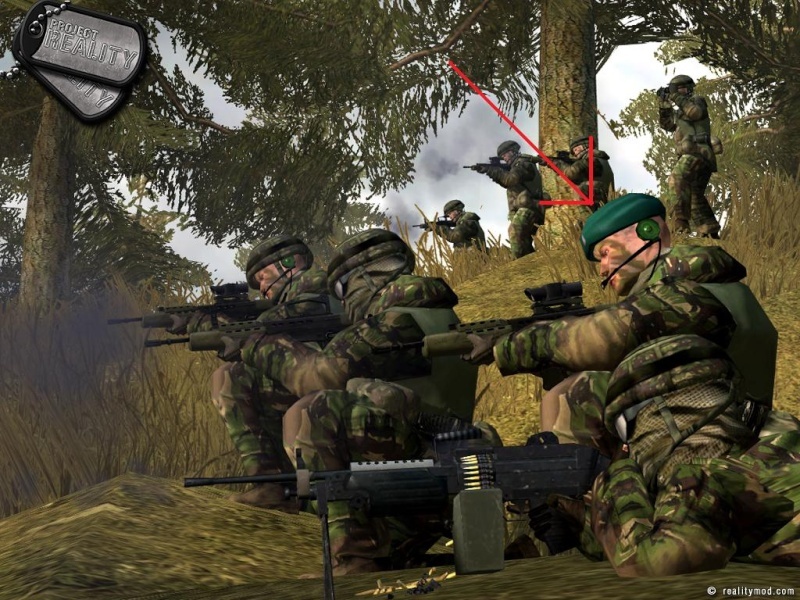 In one part of sig there will be like armor, other part infantry and the last one air. I'd like one as well. I'm thinking something along the lines with combined arms, like a plane/chopper flying across/peeking out from a mountain/tree tops etc, with Armour with close protection provided by troops. Or an apc with the previous mentioned scenario. It's good but I can't use it. The spec ops kit is no longer part of PR and it looks like a vBF2 sig. I want a shot of one of these guys looking towards the camera. If we have to take the shot ourselves ingame, np, we'll do it next time we're both online. Yeah Marshall need to find a proper picture of the British officer because I don't think that one will work out very well. I already searched in google for pictures but couldnt find anything. Sorry. Very simple, but I like it, hope you do too. Use this guy, with the other guys in the background. It might take some work, but you should be able to get these pics into a sig with a similar style as the others. Looks amazing, not exactly as I'd imagined but I'm happy with the way it looks. Thanks. Thumbs up Twyster me old chap. Nice work. One should be an officer or SGT or whatever (something high ranked ^^) putting his arm in a pose like hes commanding an attack. Then there should be some advancing Inf and Armour support (I prefer APCs here) in the background. I would like to request a signature, don't mind who makes it, just keep it with the same theme as everyone else's in ESF. Other than that you have complete creative freedom. Let me know if you want any changes. It is brilliant, thank you very much. Looks like some sort of armour. Yes it is some sort of APC. I used it in Marshall's first signature but that wasn't the style he wanted so I was a bit worried to use it again. None the less I think those two pictures (character and APC\INF) are quality, plus, they blend in together greatly. And a nice desert theme please. Love it that you to this work for the clan. Jeff, I'll make yours soon.